CBS11 reporter Stephanie Lucero, who joined the D-FW station in 1997, has “decided to follow my heart and move in a new direction,” she said on her Facebook page Friday. 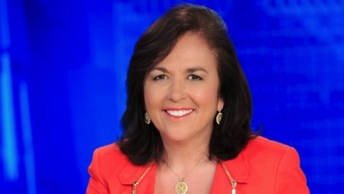 She’ll be leaving after two more weeks at CBS11, which hired Lucero after a lengthy tenure at Fox4. Lucero said she’s spent roughly 30 years as a TV journalist. “It has been a fantastic ride,” Lucero said, emphasizing that she and her family will remain in North Texas. In April of 2007, a then fledgling unclebarky.com posted a piece on the sizable roster of anchors and reporters who previously had worked at rival D-FW stations. Lucero was among the 13 cited. “You know what my comment is on that? Sounds like an all-star roster to me,” former CBS11 president and general manager Steve Mauldin said at the time. Eight years later, only former Fox4 reporter Bud Gillett remains at the station.